Wii U is a brand new home videogame console from Nintendo that fundamentally changes the relationship between you and your TV and how you, your friends and family all connect. It's a powerful, high definition system with an extraordinary new controller that redefines the dynamic of playing games together: the Wii U GamePad. The Wii U GamePad is your second window into the game world, opening up all-new perspectives for solo and multiplayer gaming. Access rich information without breaking from the action, or enjoy fresh takes on multiplayer by seeing what other players can't. Together, the Wii U console and Wii U GamePad create totally new ways to play. Experience unique gameplay opportunities only made possible by the GamePad's integrated second screen. Everyone in the family can have their own user and Mii character, making it even easier to enjoy games together, while system updates keep Wii U evolving. Miiverse is a brand new network communication system that lets gamers from around the world share experiences, discuss games and discover new content. Choose from a wide range of hardware packs to start your Wii U experience. Enhance your Wii U experience with a range of new accessories, including the Wii U Pro Controller, as well as accessories designed for the Wii console such as Wii Remote Plus controllers and the Wii Balance Board. Use the GamePad to turn on your TV, select a channel and start watching – even when the Wii U console is turned off. 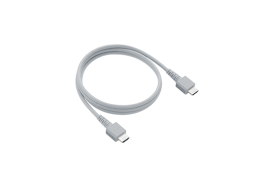 Use the included HDMI cable to connect Wii U to a high definition TV and watch your games come to life with breathtaking clarity.